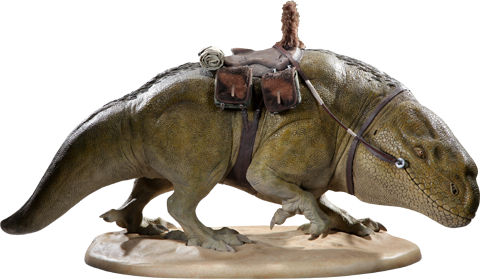 Great price on a great Star Wars creature. 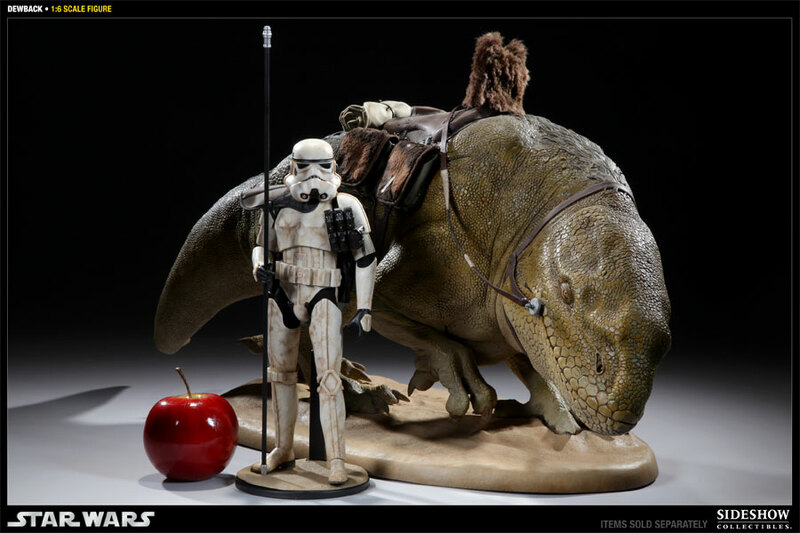 I love the size- perfect to display with a sixth scale Imperial Sandtrooper. Be prepared to make some space. Hes a very large detailed piece. 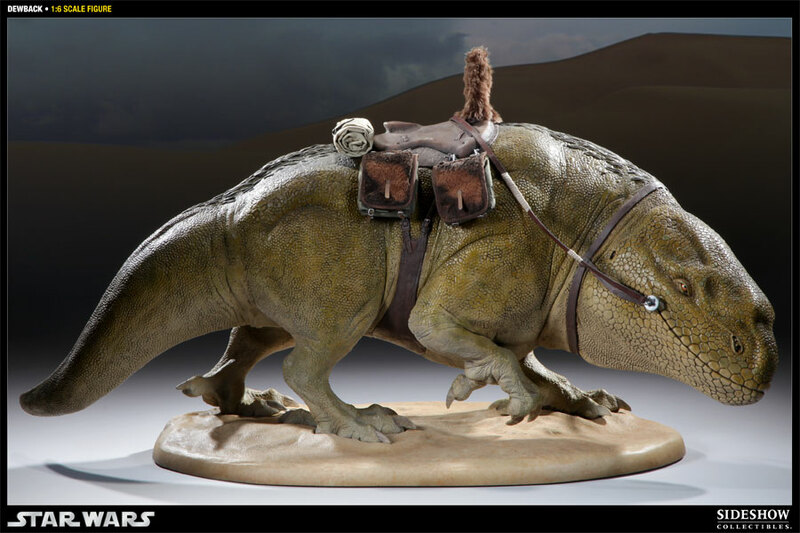 I told my friend he was so big i had to give him a name LOL Dewy the dewback and he looks awesome with his rider in place. make sure you have room!! this is no joke! make sure you have room for this sucker! its insane...my 20 month old son started to pet it thinking it was alive! I just got it. Amazing paint work, looks so real. I receive at work. Everyone was amazed on how real it look. I cant recommend this piece enough. 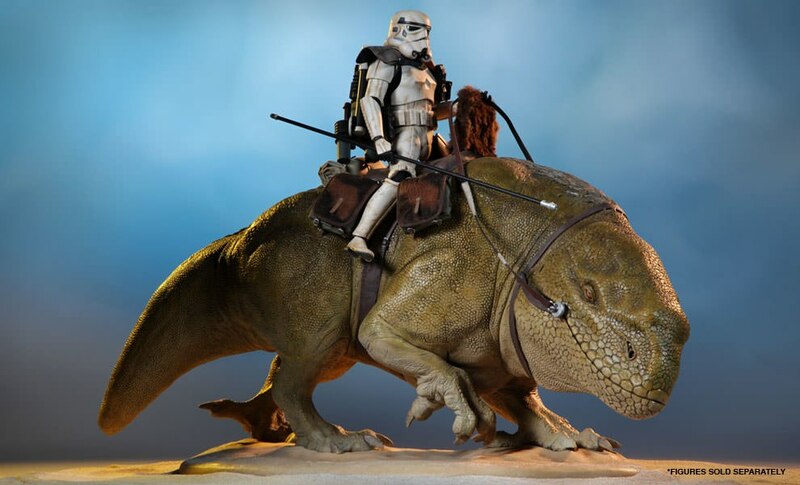 Get it, get the trooper that goes with it. Its a real classic! This is just an awesome display! It took me awhile to find the Sand trooper to go with it, but now that I did my scene looks great. The details of the Dew back are really lifelike. Great job by all the artist involved! 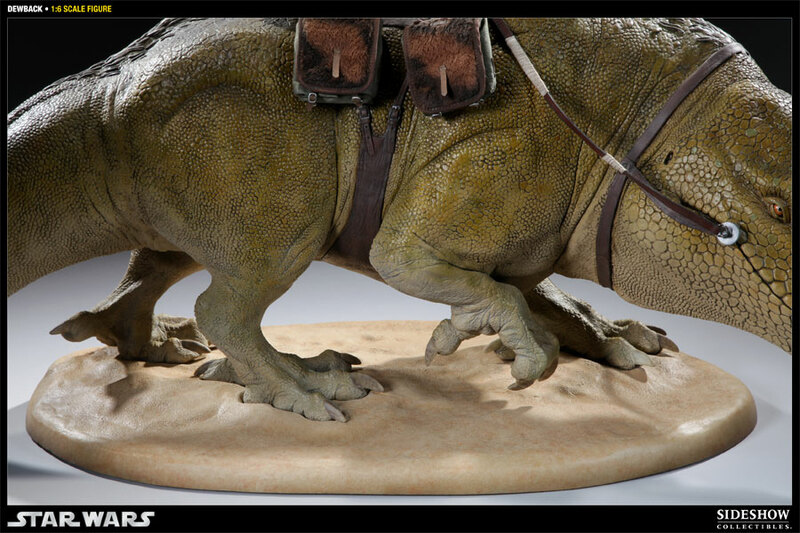 The Dewback has the OUTSTANDING detail that I have come to expect from SSC. It displays great with all of the Sandtroopers around it. "Look Sir, Droids" has now come to life. Make sure to have a LARGE area available to display it, because like others before me have said, this thing is HUGE. Go SSC. This is a great piece. 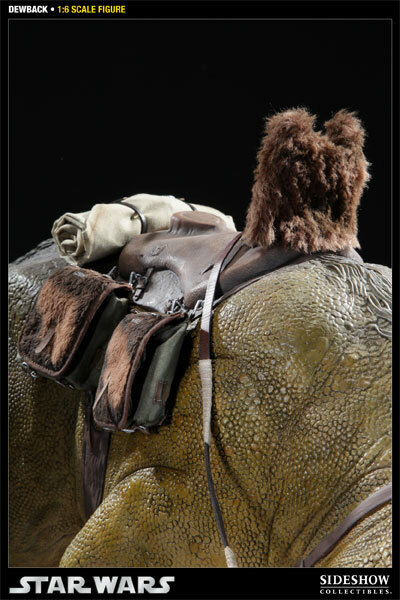 Solid, heavy base fits snugly into the talons of this large dewback. Magnificently sculpted with great musculature and menacing, piercing eyes. 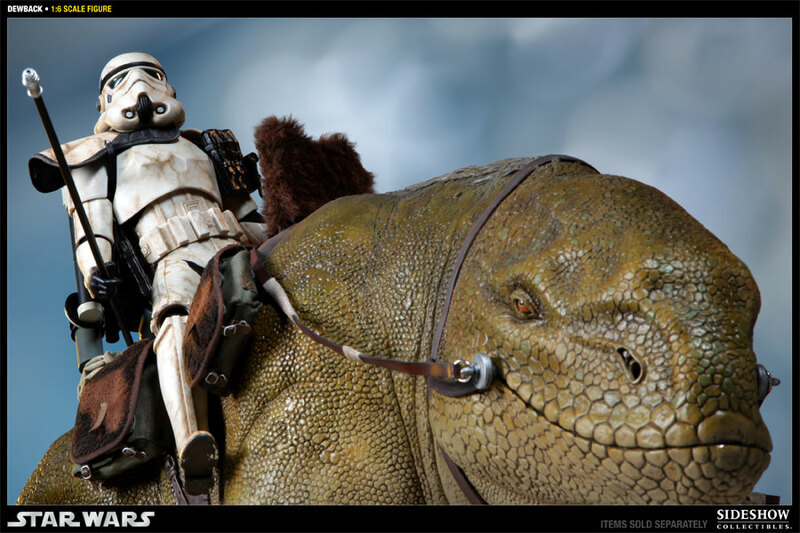 Let your sandtrooper ride in style! 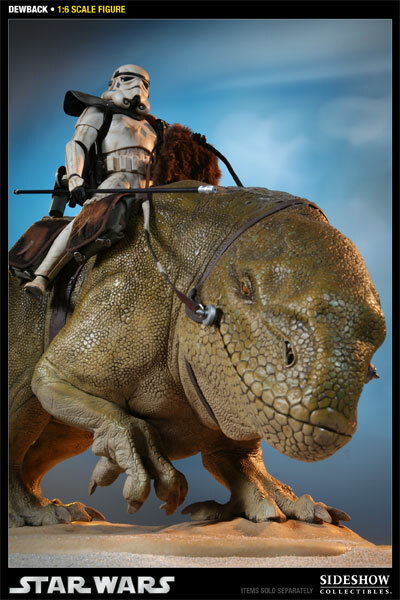 I've just received my dewback and sandtrooper.. AMAZING!! I am a huge Star Wars fan, and I've waited this piece for a long time, and now, it is finally arrived. It seems a little dog for it size! I LOVE IT!! I can't believe I get to own something this awesome. This is my first non-posable figure. Don't let that hold you back. It's incredible. WOW! 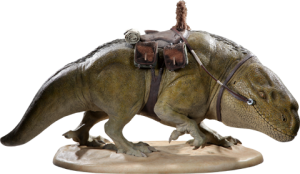 !What an amazing replica of the onscreen counterpart of the Dewback! 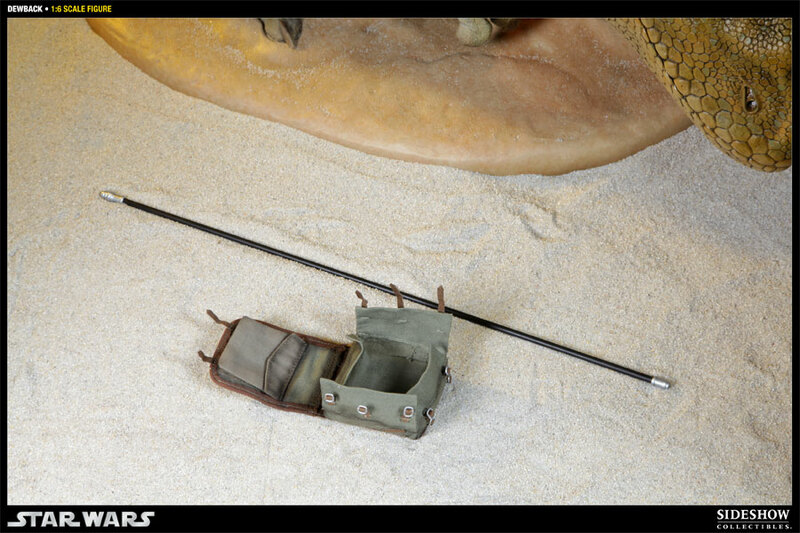 Id seen the pics on the Sideshow order page,was gobsmacked at inhand pics on the Freaks board,but NOTHING compares to seeing THIS with MY own eyes! !Well done Sideshow crew!!! 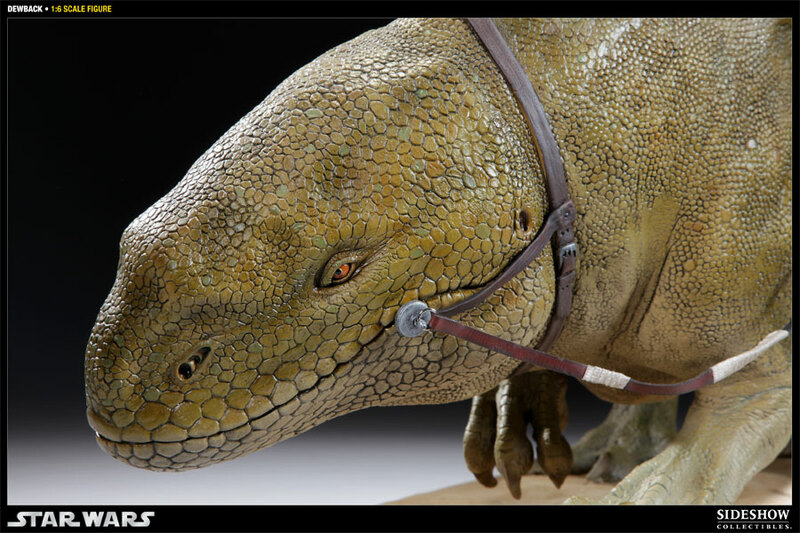 !Amazing eye for detail.Spectacular!! The design and execution of this item is nearly flawless. Sculpt is great but some of the paint application could have been done better. Highlights are blotchy in a few spots and the saddle strap paint bleeds quite noticeably onto the body. I would have given this a 3.5 but I rounded up. Couldn't believe the size of the box, and then opened it up and WOW!!! Incredible detail, now just need someplace to display it. 5 STARS!!! My wife purchased this for my birthday and the pictures don't even do it justice. It's an outstanding piece you won't regret buying! Make room for it because it's huge. It's as big as our smallest dog. An outstanding peice. 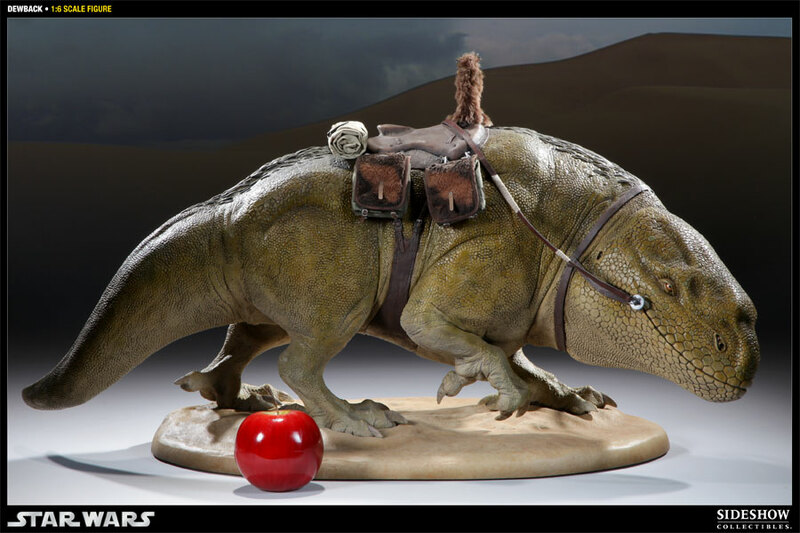 It is the same scale as the figures and demands its own space, A must have really. 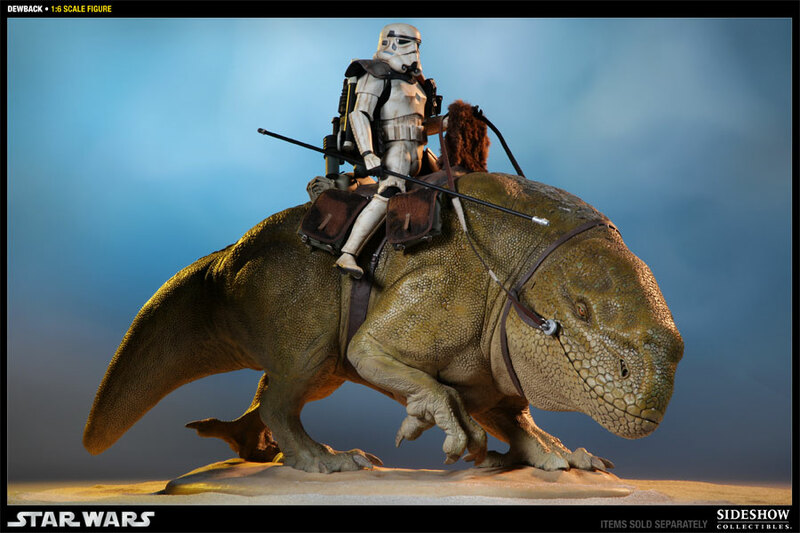 The only issue I have is no place for the sandtrooper weapons. Just got it delivered 15 mins ago and its colossal. 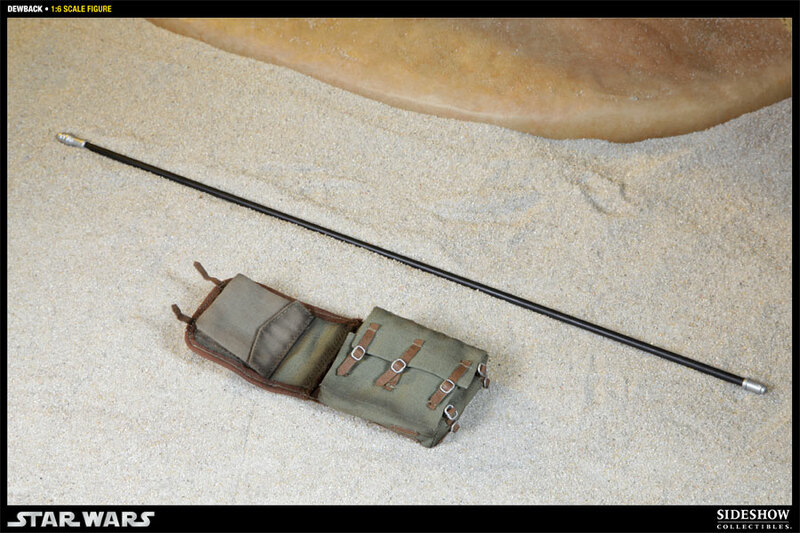 It looks absolutely stunning, great detail and realy well packed. 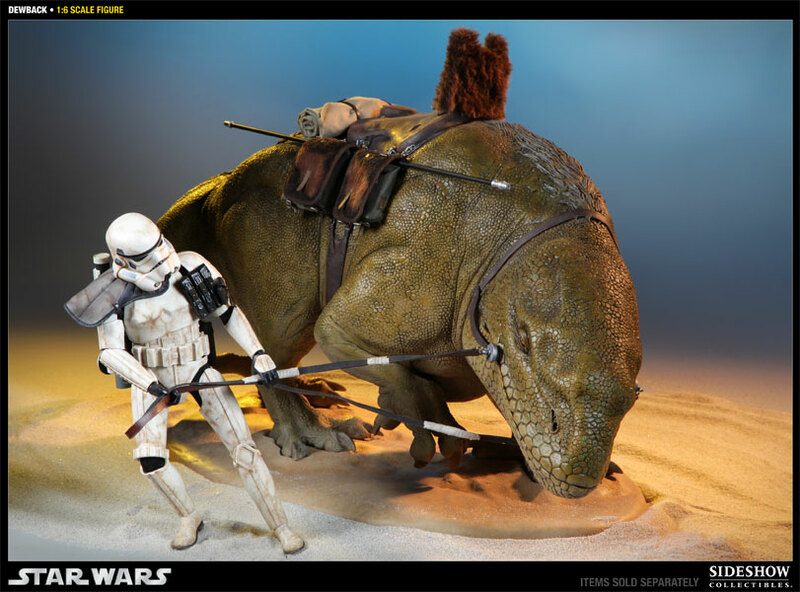 Its nothing to think about, make room, get it and display your trooper as it should be displayed!!! Eerily Lifelike From A Distance! 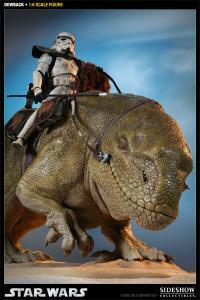 I'm a HUGE Star Wars fan, and this addition has just added a new dimension to my collection! 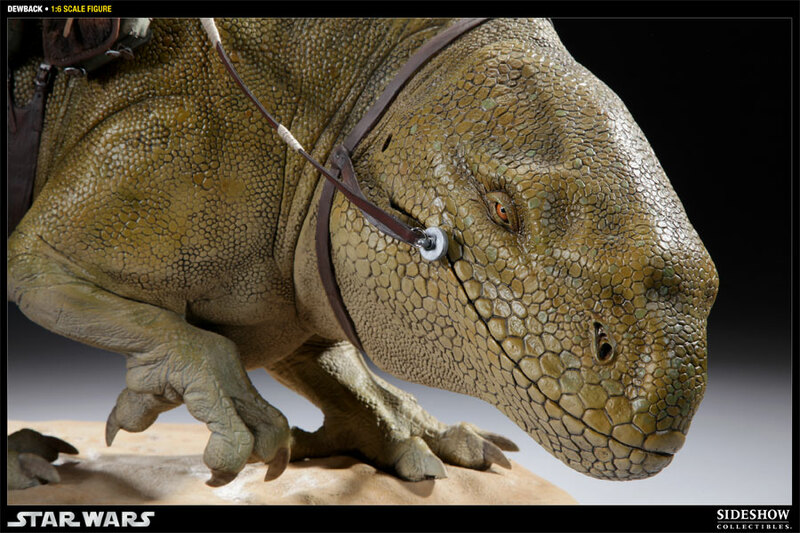 The eyes and other details are so lifelike, I sometimes think this guy and his rider will walk right off the shelf! 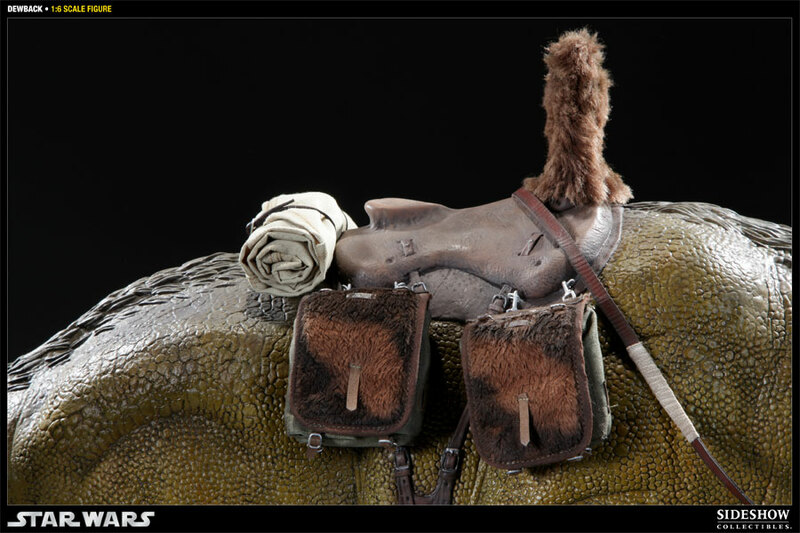 Great job on the faux fur saddle bags. Thanks for bringing this to the fans, SC! Love it! 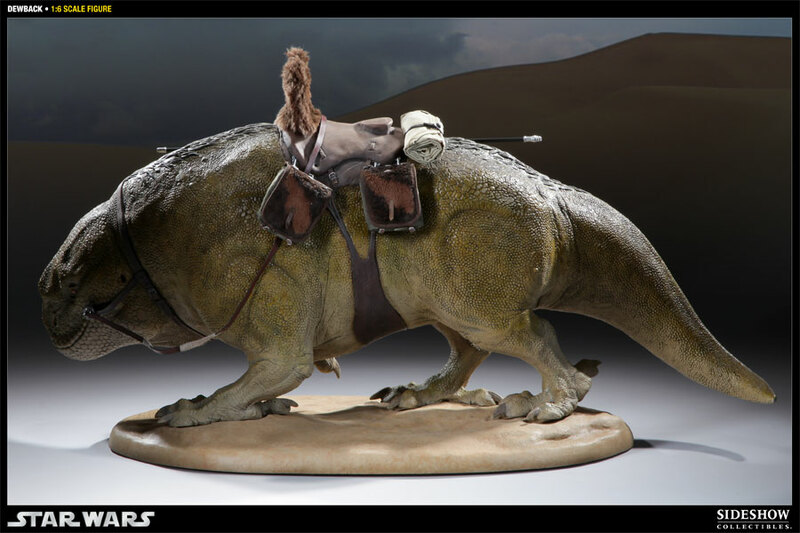 This is a large piece akin to the Speeder Bike and Scout from a few years ago... albeit at a smaller scale. I'd only wonder if it was at the same scale, nobody would have a place to display it... but, once again, another great Star Wars assemblage.